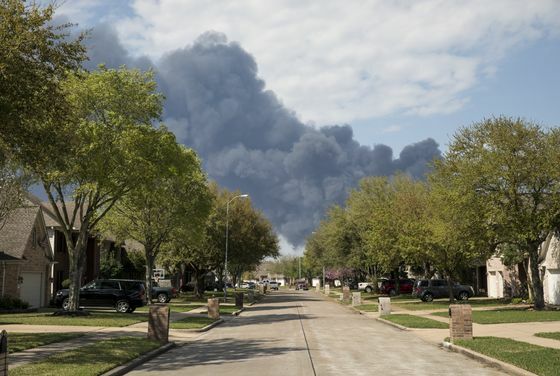 (Bloomberg) -- Two weeks after a chemical storage complex near Houston erupted in flames and menaced tens of thousands of people with dangerous fumes, the site remains too hazardous for investigators to approach. Sunday, March 17 Shortly after 10 a.m., ITC’s Deer Park facility catches fire. Monday, March 18 Fire continues, casting dark plume across Houston area. Officials say they expect the fire to last another day or two. Tuesday, March 19 Two more tanks catch fire overnight after firefighters lose water pressure. ITC says they no longer have a timeline for when fires will be extinguished. Wednesday, March 20 By 3 a.m., initial fires are extinguished. Site experiences late-afternoon flare-up that is quickly contained. Thursday, March 21 Deer Park calls for shelter-in-place order after monitors detect high levels of benzene. ITC tries to remove chemical from damaged tank but is unsuccessful. Friday, March 22 Shortly before 12:30 p.m., a wall collapses, closing the Houston Ship Channel. Later, three tanks re-ignite and are extinguished in about an hour. 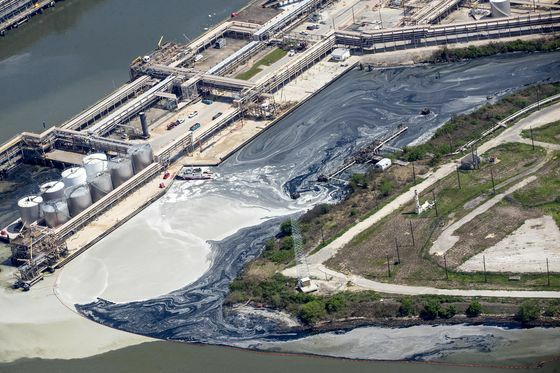 Saturday, March 23 Ship channel remains closed due to benzene plume above the water. Sunday, March 24 Ship channel remains closed. ITC says it’s removed 13,000 barrels of chemicals from damaged tank. Monday, March 25 Ship channel reopened under strict sailing restrictions. 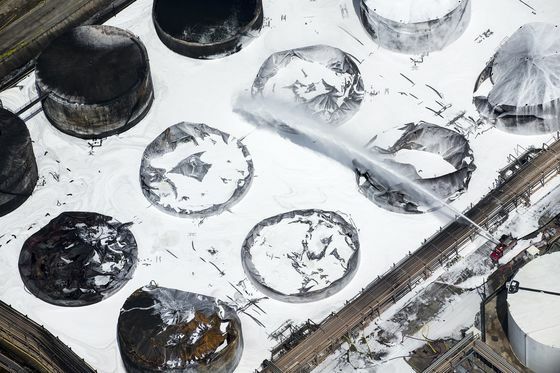 ITC says five tanks had been emptied, with two more targeted for draining. Tuesday, March 26 ITC says about 33,400 barrels of chemical mixed with water and firefighting foam has been removed from the tank farm. About 12,900 barrels of oily water mix has been removed from waterways. Wednesday, March 27 ITC Chief Executive Officer makes first public appearance in 88-second YouTube video. Thursday, March 28 More ship channel restrictions but it’s still operating at just 35 percent of normal capacity.